Click Meetings on the left side of the app and you'll see a list of all your meetings for the week. Find the meeting you want, and then click Join. If the meeting has already begun, it appears in your recent chat list. Select the meeting in your chat list and then click Join from the chat header. If you're busy in Teams, you'll receive a notification that you've been invited to a meeting, and you can click Join there. If a meeting is happening in a channel, you’ll see an invitation to join, relevant content, and who’s in the meeting. 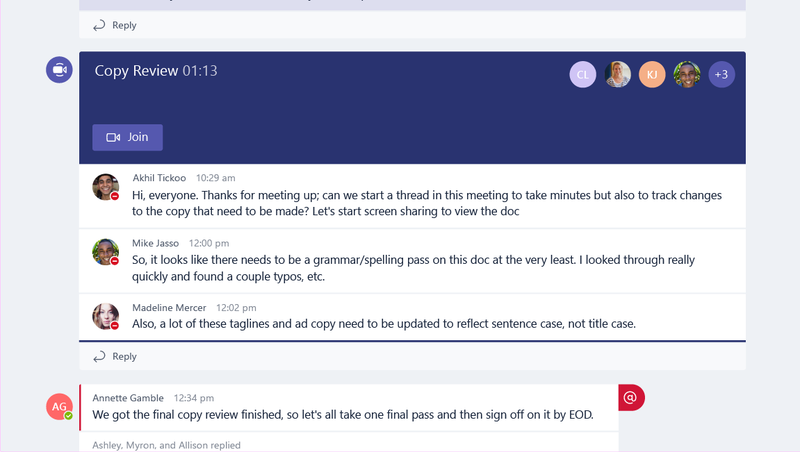 If the meeting is scrolled out of view in the conversation, you'll get a notification in the channel. Just click Join to choose your settings and join the meeting. You can also join a meeting from a calendar invite in Outlook. If you click the link in your email invite, you'll be directed to Teams and can join your meeting from there. 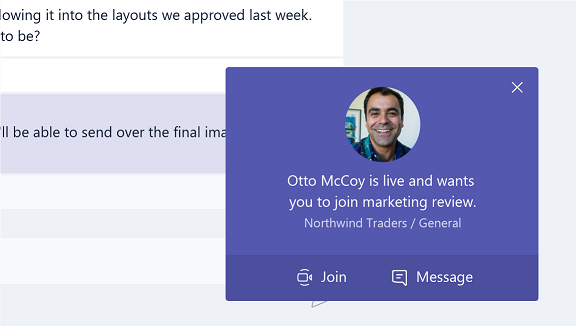 Both before and during the meeting, you'll see the meeting notice in your chat list or a channel conversation. You can join from that meeting notice or from the Meetings calendar.